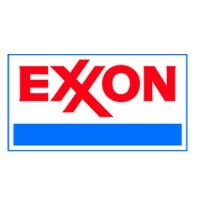 Exxon, an ExxonMobil subsidiary, is a globally known petroleum and petrochemical products retailer and manufacturer. The name was used by ExxonMobil’s downstream operations as a brand for its gas stations, motor oil and engine lubricants. It started out as Standard Oil Company in 1870 which branched to Jersey Standard in 1882 after the Standard Oil trust was divided into two. Another rebranding happened in 1972 and the oil company officially changed its name to Exxon Corporation. Over the last 100 years, the company has developed businesses in every phase of the petroleum industry – from oil drilling, service stations, petroleum products and international oil transport. Exxon operates one of the world’s largest fleet of oil tankers. An employee gets a comprehensive benefits plan that includes competitive pay, paid time off and vacation time, a medical, dental and vision plan, life and disability insurance, 401k retirement and savings plans, product discounts and various focused assistance programs. The company maintains a culture of inclusion and diversity. It has a robust benefits program and engaging development activities that encourage personal and professional growth for every employee. How old do you have to be to work at Exxon? Minimum age requirement for an entry-level job with Exxon is 18 years of age. Exxon entry-level careers usually start at the gas station. Skilled and professional workers can choose from different career areas such as engineering, health and safety, research and technology, finance and operations. Gas Station Attendant: Attendants collect payment and process cash or card transactions of gas station customers. They manage the station’s store, sells prepared foods and other grocery items. They wash windshields, check fluid levels and the air pressure in tires. They keep the gas station store, toilets and external grounds clean. XTO Electrician: Electricians provide electrical experience for a variety of assignments. They conduct regular equipment and facilities inspections to check for problems and do minor repairs. They prepare and maintain electrical warranty reports and the electrical shop’s inventory. Having a Master or Journeyman electrical license and a NFPA 70E certification is required. XTO Lease Operator: Provides in-field production operations support. They appraise tanks, study meters and record tank and meters data. They analyze and report any observed discrepancies and production changes. They conduct equipment and facilities inspections to assess problems and resolve them. They do quality checks to ensure compliance with all environmental and safety policies. XTO Plant Operator: A plant operator performs routine plant operation duties including operating compressors and other processing equipment. They evaluate equipment and systems for safety, production efficiency and compliance with environmental policies. They’re responsible for the completion of all required operations and maintenance reports. XTO Drilling Engineer: Plans and implements multiple rig digging schedules. They prepare cost estimates, plan directional wellbores and seek quotes and bids from vendors. They analyze drilling performance and implement new solutions to improve productivity and lower costs. A PE license in Engineering and at least 5 years of drilling operations or planning experience is required. XTO Landman: Landmen hire brokers for lease takeoffs or directly buys leases. They assist prepare all necessary documentation to drill wells and negotiate surface damage agreements with other companies. A bachelor’s degree in Petroleum Land Management or Energy Management and 3 years of in-house Landman experience is required. Supply Coordinator: Supply coordinators manage storage yard inventory including monitoring stock levels and tracking inventory changes. They create operational monthly to annual volume plans to ensure forecasted demands are met. They also organize and regulate annual process directionality for sales and operations planning. Statistics Advisor: Works with engineers and scientists to design experiments to create effective and practical tests for engine oils, industrial lubricants and base stock. Provides statistical support for risk analyses to help determine potential frequency and impact of various risk scenarios. A degree with a strong focus on statistical modeling and 5 years industry experience is required. Safety Relief Engineer: Provides daily technical support and guidance to a team performing facilities safety studies for refineries and chemical plants. They analyze the pressure relief system, identify risks and issues and comes up with recommended actions. A degree in Chemical Engineering, 5 years previous experience in oil/gas or petrochemicals industry is required. Environmental Coordinator: They complete regulatory analysis, maintain existing regulatory compliance systems and ensures compliance with internal and external documentation and reporting requirements. They initiate enforcement actions as necessary and conduct audits to ensure a manufacturing site’s compliance with environmental regulations and applicability determinations. Interested applicants with little work experience can go to the nearest fuel station and apply for an entry-level job. Gas station jobs are mostly on station support and maintenance. Professionals and career-minded individuals can check for open positions online. To start the application process, you would first need to create a hiring profile. You can choose to register by connecting to LinkedIn, Facebook, Xing or Seek accounts or manually inputting your details. Then you’d need to complete the application form and upload your resume. Make sure to highlight relevant skills and experience, emphasize on your accomplishments and contributions to your previous company. Your resume should be brief but impactful. After the initial resume screen, some positions will require language, mechanical or technical proficiency assessments as part of the hiring process. Interviews will be conducted with the hiring manager or HR. The whole recruitment timeline varies by position and location. “Nobody Gets Hurt” is the company’s eternal safety goal. Safety is a core value and integral part of the company’s culture. They aim to ensure that each employee completes work safely and leaves work in good health. Together with Synthetic Genomic Inc. the company spearheaded an algae biofuel research program that involves studying and growing naturally occurring algae and its biology for the potential future use of creating renewable, scalable and low-carbon biofuel. Exxon continues to be the frontrunner on introducing innovations that help meet the growing demand for energy and reducing greenhouse gas emissions associated with energy use. This commitment is not limited to lab work but implemented across their operations. The National Math and Science Initiative is a program that empowers school communities to prepare students to succeed in life. The program focuses on the importance of math and science in increasing the youth’s capacity for economic analysis and innovation. 1 How old do you have to be to work at Exxon?